Motorhome Holiday North West of England Enjoy the diversity. Enjoy a Motorhome Holiday North West of England. There are few regions in England that can match the diverse and spectacular attractions of the North West. 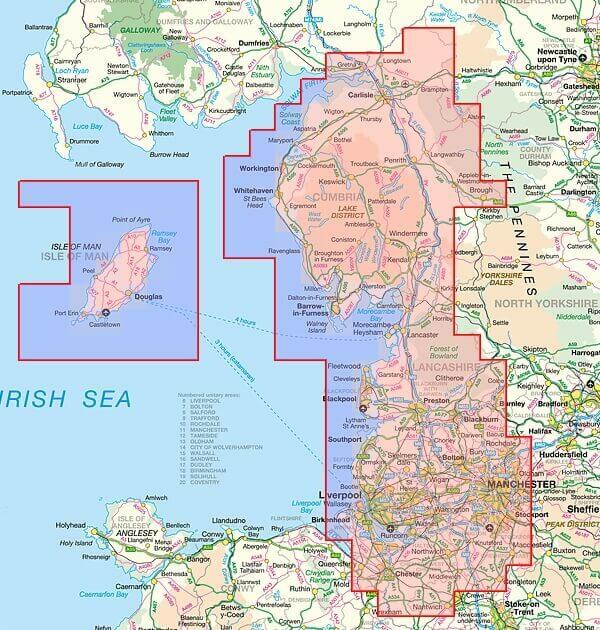 This area stretches from Cumbria in the north to Cheshire in the south. 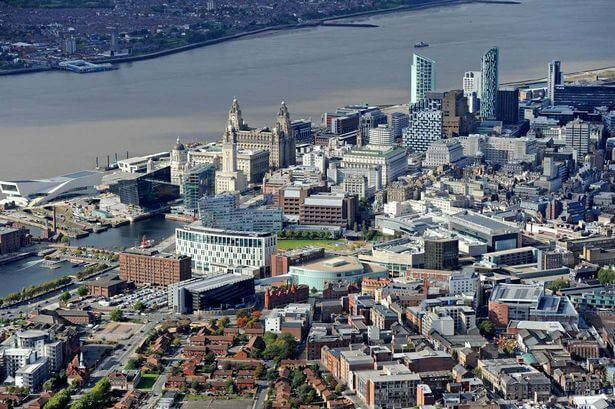 Here you will find the vibrant cities of Liverpool and Manchester. Lancashire’s sweeping sandy beaches and Britain’s best loved seaside resort, Blackpool. You will enjoy the largest National Park in England. The stunning Lake District. There are many reasons to visit the North West of England. 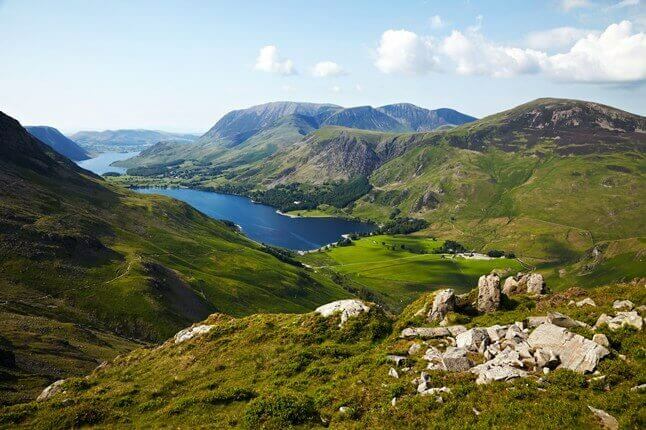 We would recommend a stay at a campsite in Borrowdale. We like the Caravan Club site there set in Manesty Park. It is National Trust woodland close to the southern shore of Derwentwater. Paths lead directly from the site to Derwentwater. If you would like to explore on foot you could try climbing a very popular fell nearby called Cat Bells. Cat Bells is right on the door step of the site and offers fantastic views across Derwentwater. It is an excellent half day out for walkers of all ages and abilities. If you’re feeling particularly energetic you could follow the Corridor Route to the top of Scafell Pike. Scafell Pike is the highest peak in England. This climb begins from Seathwaite which is nearby. However, sometimes the weather can be a little unkind. Borrowdale is known for being the wettest place in England. 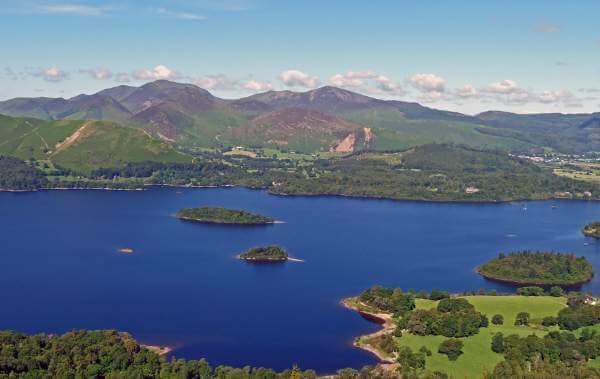 The bustling town of Keswick is just five miles away. In Keswick you will find museums to explore, a theatre on the lake shore and plenty of tempting cafes and shops. We would also recommend a trip to Blackpool while you are in the North West. A complete and utter contrast to the tranquillity of the Lake District but a good place to have some fun! 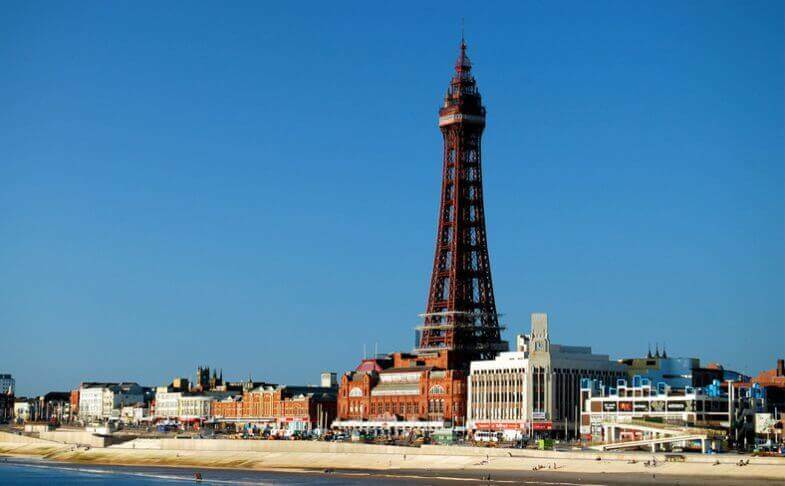 Blackpool has been voted the nation’s favourite seaside resort. You will find plenty to keep the whole family entertained. The long beach is a mix of swimmers and sandcastles, dodgems and donkey rides. There are also three piers stretch out into the sea. While Blackpol Tower soars above all of this. If you are a thrill seeker you won’t want to miss a trip to the Pleasure beach home to nearly 40 rides. Rides include the Big One, Britain’s tallest, fastest roller coaster at 235 ft and with speeds of 87 mph. After 29th August visitors can see the resort lit up every evening with the famous illuminations. If you want a quieter day by the sea head for Lytham St Anne’s. Four well kept golf courses and independent shops and boutiques await you there.